Wylma Schaap, 91, passed away on Tuesday, March 15, 2016 at the Edgebrook Care Center in Edgerton, MN. Visitation will be held on Thursday, March 17, 2016 from 9:30 am - 10:30 am with the Memorial Service to be held at 10:30 AM at the Chandler Christian Reformed Church in Chandler, MN. Wylma (Lolkus) Schaap was born on August 28, 1924 to Arie and Minnie (Poelstra) Lolkus in Murray County, Minnesota. She grew up in Leota, Minnesota, baptized and made profession of faith at the Ebenezer Christian Reformed Church in Leota. She attended Leota Christian School and was most proud to have graduated from Edgerton High School. On March 18, 1945 she was united in marriage to Harold Schaap at Ebenezer Christian Reformed Church in Leota. After marriage Harold continued his service in the US Navy and she remained in Leota, working for the DeBoer Brothers Grocery Store. When Harold was discharged they moved to a farm by Chandler. They farmed until retirement and moved to Chandler in 1986. Harold passed away in 1989 and she continued to live in Chandler and was a member of the Chandler Christian Reformed Church. After her apartment was destroyed by the 1992 tornado, she remained in Chandler until 2010. She entered Edgebrook Care Center on June 17, 2010. She really enjoyed being in Edgerton with old friends and new friends. She was the “unofficial” greeter of new residents. She will be remembered for welcoming everyone with a cup of coffee and something sweet and being very generous. She was a master at making apple pies which were second to none. The joy of her life was her family. Sunday lunches at Grandma’s were always a special treat. For many years she picked up her grandkids from school and often took them for ice cream. On Tuesday, March 15, 2016 Wylma passed away peacefully at the age of 91 years, 6 months and 16 days. 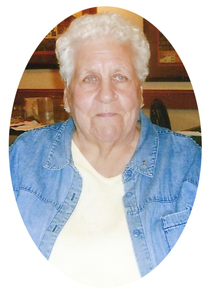 She will be lovingly remembered by her children: Roxine (Larry) Luinenburg, Carla (Don) Kooiman, Harlow (Anne) Schaap, daughter-in-law Kari Schaap. six grandchildren: Bruce (Becky) Luinenburg, Kristi (Brett) Elzinga, Tom (Traci) Kooiman, Tricia (Andy) Leafblad, Kent (Chelsea) Schaap, Jeffrey (Jody) Schaap, Jessamy Schaap and fifteen great-grandchildren, many nieces, nephews and other relatives. She was preceded in death by her parents, her husband of 44 years, Harold, her son Brian and her grandson Eric Schaap; and her brother and sisters.